Sankeys Ibiza opens its doors for the summer season this Thursday, May 24th, for a week of parties including Sankeys' head-night Carnival, Bugged Out!, mulletover, Fuse and Kaluki & Krankbrother. There will be a double-header opening party on May 24th and May 25th, with artists including Basement Jaxx, Booka Shade, David August, Guti, Joy Orbison, Jackmaster, Mosca, Solomun, Stimming LIVE, Tiefschwarz, and Tobi Neumann. Plus, many more guests including Anja Schneider, Bones, Geddes, Heidi, Julio Bashmore, Matt Tolfrey and more planned throughout the opening week. DJ T, Heidi, Matt Tolfrey, Anja Schneider, Sebo K, Wildkats, Krankbrothers, Ellesse, Iain Taylor, Pete Zorba. 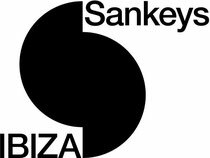 Sankeys Ibiza will then re-open on June 20th, ready for a full-on summer. Already confirmed are residencies with Solomun's Diynamic on Tuesdays with 'Diynamic Neon Night' (July 10th - September 11th) Steve Lawler's 'VIVa Warriors' on Wednesdays (July 4th - September 12th) and Sankeys' own flagship night, 'Carnival', on Saturdays June 30th to September 15th. Also planned are parties with other leading nights such as Bugged Out!, Culprit, Fuse, Heidi presents The Jackathon, Junk Department, Kaluki, Krankbrother, Kubicle, Leftroom, Mulletover and Tenax. Check www.sankeysibiza.info for full line-ups and info.